What better way to welcome April than with a satirical poem that takes place in that lovely and tempestuous month? I wrote it in 2004, and the anti-war site LewRockwell.com published it. 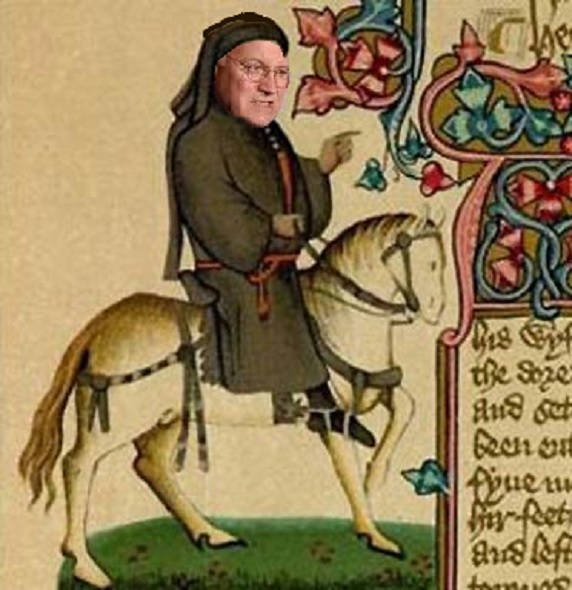 It’s a takeoff of The Canterbury Tales that targets the Iraq War and the Neocons who lied us into it. I’ve dusted it off, revised it a bit, and added links to names and places that may not be as well known as they were eleven years ago. Enjoy! The politicians curse and scurry. That the head does spin, and the eyes grow bleary. They research all night with help from secret sources. Then congressmen gather in committee. Of foreign lands that had not harmed this nation. That she had lied up on Capital Hill. Before attending more testimony moronic. A noisy, cursing Neocon platoon. They paid me no mind as they started sneering. Awarded for battles he’d helped to settle. He’d chaired the Joint Chiefs during Desert Storm. With a deft Power Point presentation. He was well regarded in the Office Oval. And at a Rumsfeld his eyes did bore. “We’ve no time for Congressional hysteria. The Rumsfeld shrugged. “Yes, it’s all overblown. Congressional scrutiny’s a known unknown. And nearly smiled at his standing ovation. He checked his own pulse with each shot of liquor. Though the others would laugh, his scowl did not flicker. Of the contracts he’d win for his beloved Halliburton. Once a 12-stepper and lusty party goer. From a strategic position in Alabam. Toward his eager young student despite low potential. With the mind of a scholar and the bite of a shark. And the cowards all shivered, ashamed at their error. Drinks spilled and men shrieked, and started a-runnin’. But I knew they’d continue their neo-connin’.